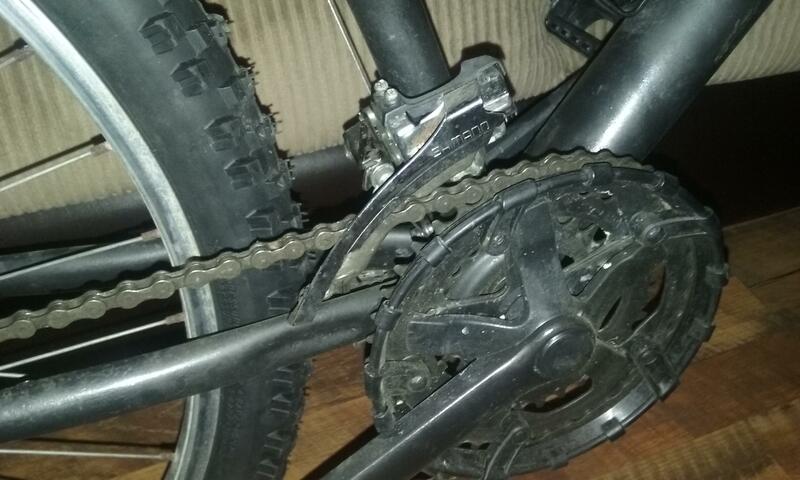 Parts of the mtb that are NOT original are: brake levers, center pull front & rear brakes, (mtb came with old cantilever brakes), flat bar extensions, seat, lights front & rear, and both tires. From the look of the frame and components, I'd say it could be any OEM/No-name supermarket bicycle. Looks like a generic rigid MTB, with V brakes and a "comfort" shaped saddle. Not sure why there is paper in the spokes - possible covering reflector to help the camera take a better photo? The bike looks decent, and I would ride it if it fit me. So ride it like you want to. If you're just riding on road, when the tyres wear out or crack then get replacements with fewer or no knobs, and you'll go faster for less effort. If you want to paint it then do so - paint it a colour you like and want to see. Just do the hard prep work to make it a good paint job, not a bodgy rattlecan effort. 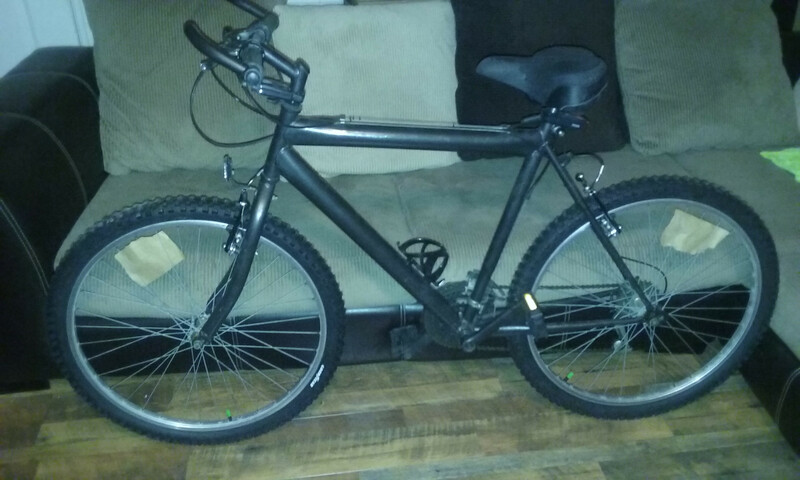 Did I buy the wrong mountain bike?